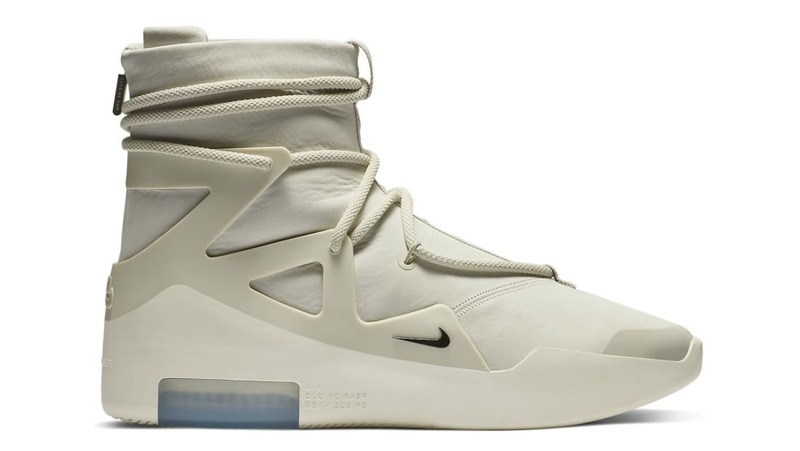 Previewed during the Fear of God Sixth Collection, the boot-like high top silhouette is dressed in a light bone colorway also seen on the triangular overlays and toggle lace lock. Additional details include a black mini-Swoosh logo on the lateral side. Release date is Dec. 15, 2018 at a retail price of $350.